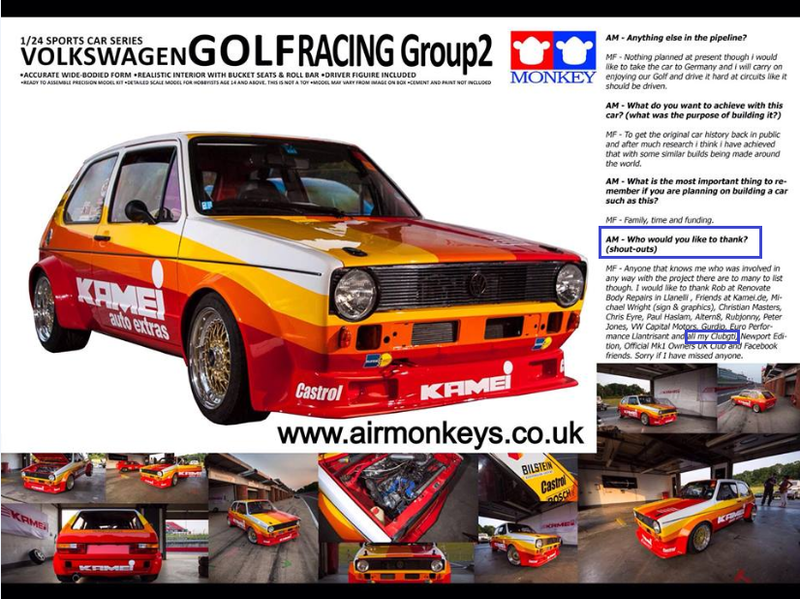 Mike Flynn (fthaimike) has been very busy putting together an impressive line up of Guest Demo cars for this year’s Apex Festival. 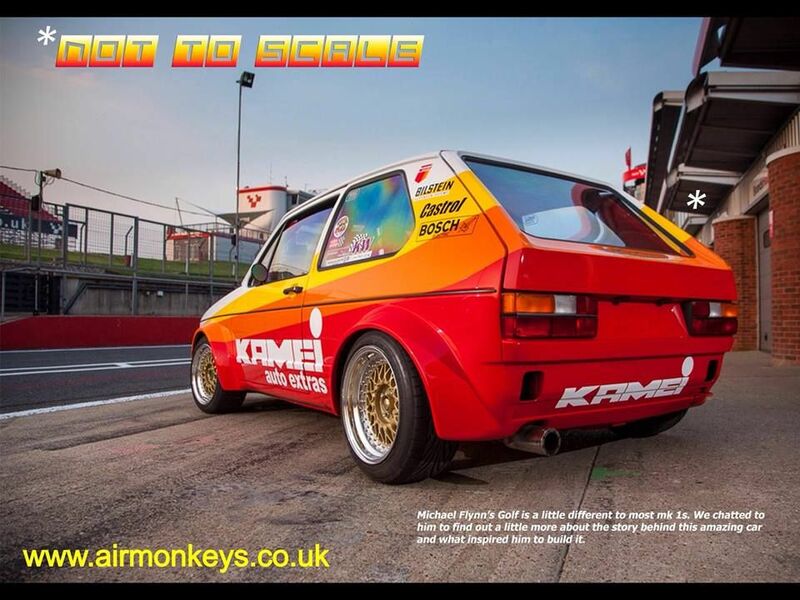 Some of these demo cars are seen in the pictures put up in this thread post 33 Mike Flynn, owner of the 1:1 scale Kamei Golf Mk1 replica, recently sent me a link, where his Golf Mk1 was featured in an eight page write up for the Air Monkeys magazine. Here are some picture highlights from the magazine. And he has not forget good ol Club GTI either. 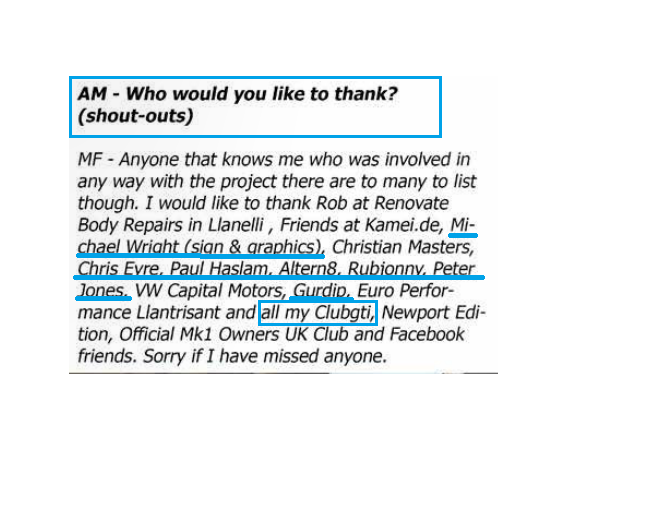 The club and some well known members are mentioned in his thanks/shoutouts. 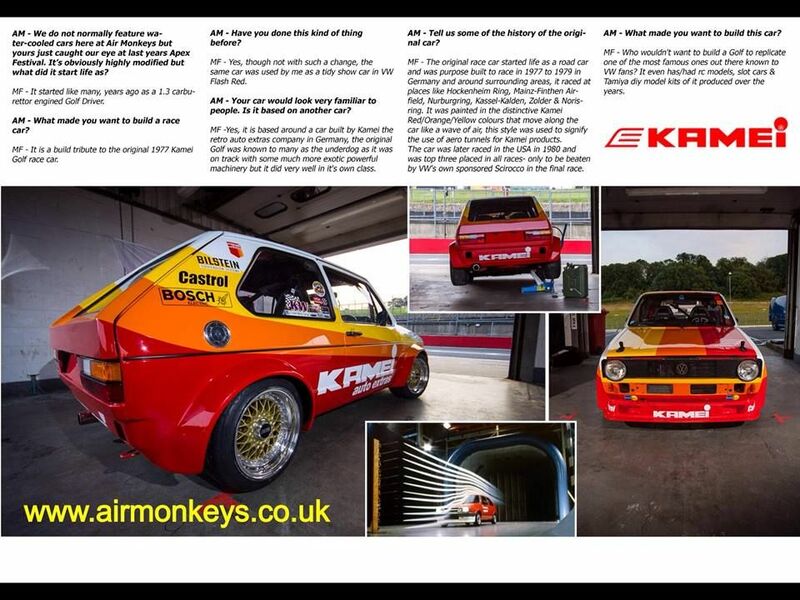 Air Monkeys has published their entire issue 10 online, which you can view in the link below. Mike’s feature is on pages 21-29. Previous Apex Festival May 10th-11th 2014. Club GTI details and prices added. Lets get Booking!